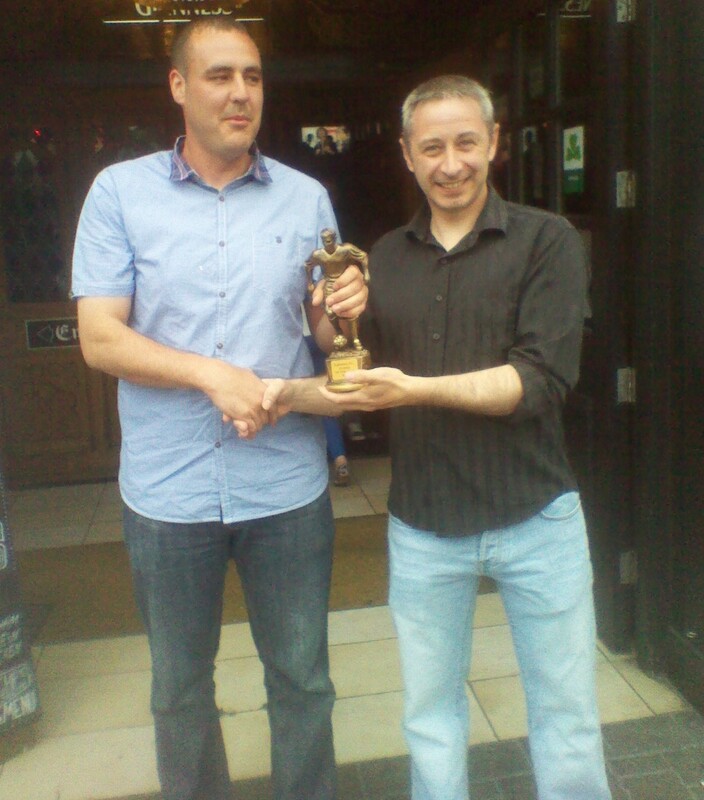 Congratulations to Greg Morrissey who was named player of the season for 2012-2013. A regular at centre half, Greg made 22 appearances and also contributed 9 goals for the season. Greg is pictured receiving his award from Killowen manager, Seamus Ring.